No matter if your e-Commerce store is just being launched or you’ve been in the game for a long time, most all Magento ® store owners have at least one thing in common. Or more precisely, Magento SEO (search engine optimization). HOT TIP: SEO is the process of ranking web pages organically on Google’s search results. If your online store is to succeed being found in Google’s results is a “no-brainer.” Unfortunately, with so many people saying so many things about how to rank on Google its hard to know who to believe. That’s why we put together this 5-tip strategy guide for you to follow. Why should we care about your online eCommerce stores success? What sets us apart from every other voice on the Web? Simply put, we provide a variety of Magento ® extensions for your eCommerce store solution. If you don’t succeed, then you simply won’t need our extensions. However, as you do succeed, we at GoMage seek to be found as one of your reasons why. As a result, we will enjoy a long healthy business relationship together as we both grow into what is the future of selling on the Web. If you’ve been studying the world of online eCommerce marketing for any time at all you’ll be quite aware that content really does matter today. Gone are the days of ranking at the top of search results from 300 to 500-word articles filled with your keyword phrase. Google is in the business of providing high-quality search results to its audience. If this isn’t what you are delivering you will have a very difficult time climbing to the top of the organic search rankings. That said, here is what most people will tell you is important. Visitor (not search) oriented quality content. Lengthy pieces of work that are 1000 – 3000 words in length (more is better). Headings and sub-headings to break everything into bite-sized chunks. Short lively paragraphs that are easy to digest. Bullet’s and numbering where appropriate. Simply put, you want to give the viewer an experience they will value, share and remember. Unfortunately, all these guru’s that are saying such things are flat out wrong. While they are right about all the structure advice that they are providing when it comes to Magento SEO strategies they are wrong. Here’s why. Yes, Google is much smarter than it ever was before. What’s more, it’s intelligence continues to develop, and it really doesn’t need the help of SEO experts to tell it what to do like it used to. For example, if you take a speech class you will learn that you need to tell your audience what you are going to tell them. Then you need to tell them. Finally, you need to tell them what you told them. If that’s the case offline, then it would certainly enhance the experience of your audience online just if when you position your keywords they don’t sound like unwarranted spam. Bottom line: Do keyword research for your targeted keyword phrase. Then create your quality content around that targeted keyword phrase. That’s how to get your eCommerce store to rank at the top of Google and other search engines. HOT TIP: While there are a variety of keyword research tools available on the market, we personally find great value in AHREFs. 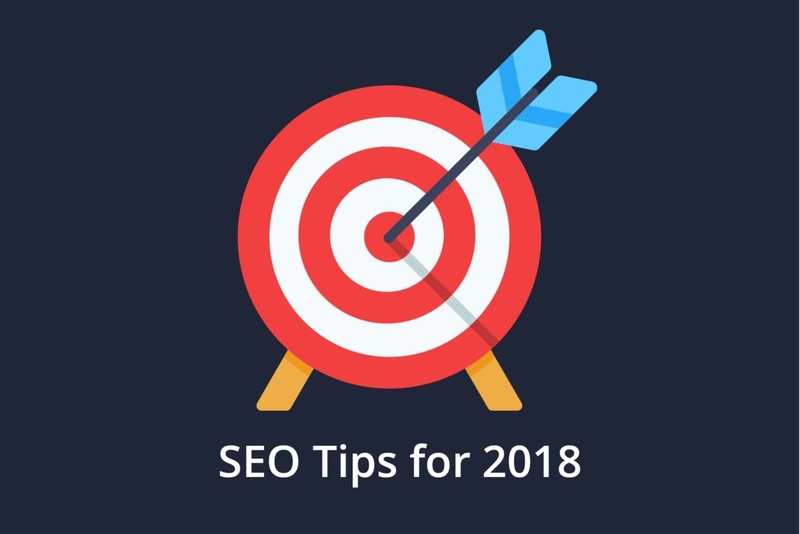 Now that you have your content created the next step is to ensure that it avoids duplicate content issues while integrating targeted canonical and sitemap strategies. DEFINE CANONICAL: It is the preferred version of your e-commerce web page. Making sure that this is in-place reduce (preferably eliminates) duplicate content issues. DEFINE DUPLICATE CONTENT: Your website’s page that exists elsewhere on the web. Even if that elsewhere is on your site. Setting up these canonical details requires coding (ie rel="canonical") unless you happen to be using a Magento ® extension that can help you avoid the painful displeasure of trying to figure out what code says or how you are to interact with it. Correctly handle header meta tag details for your products and pages alike. Identify original source URL’s on domains outside of your eCommerce store. Combine title tags of different pages together as one entity according to search engines. While all the above is extremely important to the success of your Magento ® eCommerce store, they are just the tip of the iceberg when it comes to what the SEO booster from GoMage provides. Within the scope of content integration, our extension also supercharges the power of your sitemap. DEFINE SITEMAP: A resource available from your website that identifies where the different content exists at. Typically, content is that which is textually related to your site. While this is correct it should be noted that images are also content. This is but one way in which GoMage empowers your ability to deliver a more comprehensive structure to search engine spiders. Beyond allowing you to add your image files into your sitemap, with the power of the SEO booster you can also organize your sitemap structure so that it is easier to navigate. Further, should there be specific links that have not been identified within the sitemap they can be easily added to provide a more rounded experience. With your quality article now created and properly integrated into your Magento ® eCommerce storefront, it is time to talk about adding images. Many storefront owners simply upload the images to their storefront and call that good. At least not if you are targeting Magento SEO strategies with your storefront. Before you upload your image to Magento ® take time to rename it to the keyword phrase that you are targeting. This is an excellent way of optimizing your site without getting in the way of your user’s experience. Once uploaded and put in place make sure that the ALT tag is properly targeted with the keyword phrase. This too keeps away from your user's experience while continuing to target your content for the top of the search engines. NOTE: The ALT tag only displays visually to your viewer if the image itself is unable to be served for whatever reason. Within content pages, it is recommended to include a 3 to 5 sentence caption on content pages. This increases the amount of content that is being displayed on the page while informing viewers about exactly what they can expect to experience when reading your created content. Steps 1-3 add up to a lot of work for your Magento ® storefront. If not, then we recommend taking care of those items before concerning yourself with this point. Because it is difficult to complete the social sharing processes outlined without first having content available. That said, let’s take this from the vantage point of your content has been both created and posted. One recommendation would be to share your content socially. There are many ways to do this including Facebook’s Open Graph technology. With Open Graph you have the power to define how your content is going to look on the search engines. While that might sound cool, it probably also sounds complicated. The good news is, it doesn’t have to. With the Magento SEO extension from GoMage this comes integrated into the product. All you need do is enter the correct details and let the extension take care of the rest. Our SEO Booster also handles Google rich snippets for you. Structured data. The information they provide to the search engines can include specifics about your product’s rating, pricing, and details in a way that Google loves. When you make Google happy your corresponding rankings stand a much better chance of making you happy. By now it should be obvious as to why our SEO Booster is so important for your success online. Truth is we haven’t even covered all the details of the power that it brings to the table for your success. However, if you follow points 1-4 on a regular basis your chances of achieving top rank search engine results becomes much more probable. Yes, there are other details to pay attention to such as making sure that your Magento ® e-Commerce store is operating at top speed. Never-the-less, there is one point that stands above all else it would be to make your entire process consistent. Determine how long it will take you to put together a high-quality piece of content. For some people that will be a week. Others might need a month or more. Whatever the case, set your goal and stick to it. As you do, Google will respond accordingly. Which positions your Magento ® eCommerce store on the fast track to success when it comes to building a successful enterprise online. We’ve shared specific details on how you can take your Magento ® store to the next level and beyond on the search engines. If your ranking at the top of the search engines what got you there? What would you change or improve your own strategy? For those who have yet to achieve the rankings, they are seeking on the search engines. What do you believe is holding you back? Are there specific questions we can help answer about Magento SEO? Whichever camp you find yourself in, feel free to comment below. We are here to help your eCommerce store succeed online in 2018 and beyond.